Malala Yousufzai update: U.K. docs "impressed" by 14-year-old girl's "strength and resilience"
British doctors overseeing the recovery of a teenage Pakistani activist shot in the head by the Taliban were "impressed" by the girl's condition and said Tuesday that she "could make a good recovery," the hospital announced. Malala Yousufzai's doctors at Queen Elizabeth Hospital in Birmingham described her condition as "stable" a day after arriving from a Pakistani military hospital where she had been receiving treatment, according to a hospital statement. 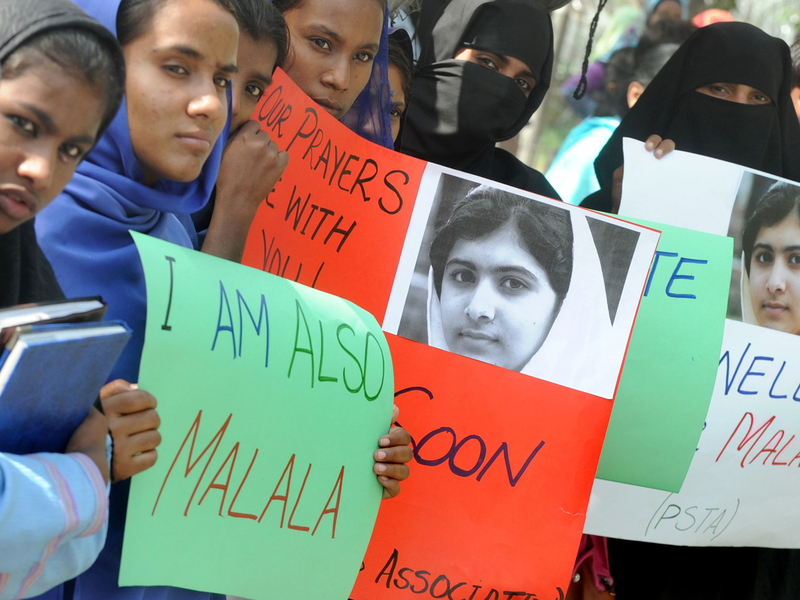 Malala's doctors had been "impressed with her strength and resilience," Medical Director Dave Rosser said. "Her response to treatment so far indicated that she could make a good recovery from her injuries," the statement read. Earlier Tuesday, the Pakistani Taliban told the Reuters news agency in a statement that they considered Malala a "spy of the West" and that she deserved to die because "infidels gave her awards and rewards" for "espionage." "We targeted her because she would speak against the Taliban while sitting with shameless strangers and idealized the biggest enemy of Islam, Barack Obama," they said. Before Malala arrived in the United Kingdom, Pakistani doctors had removed a bullet from her body that entered her head and headed toward her spine. The Pakistani military has said she was able to move her legs and hands several days ago when her sedatives were reduced.